Maverick | CBBC WILD from Maverick Slacklines on Vimeo. Maverick Slacklines where invited by the BBC to take part in a live broadcast of, ‘WILD‘, a brand new children’s TV programme on CBBC aimed at getting kids outdoor and active. 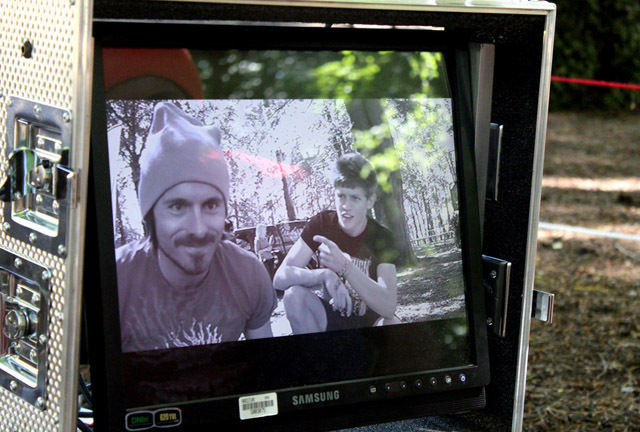 The filming took place in the New Forest, super early on Saturday morning. 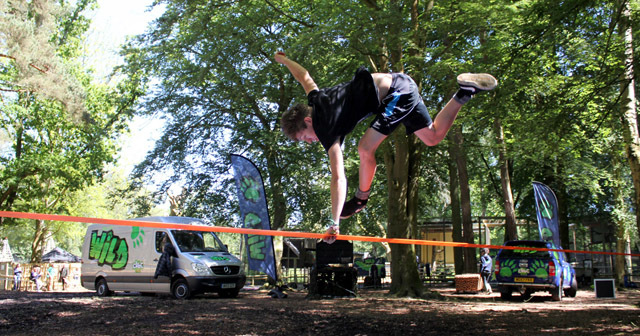 Russ & Lloyd were given the task of demonstrating slacklining and explaining to the viewers, what it’s all about. We had rehearsals on Friday and turned up on site to see the forest full of cameras, satellites, cables and BBC people frantically preparing for filming in the morning! We found two monster trees and rigged a sweet 20 metre long trickline in preparation for the rehearsals. 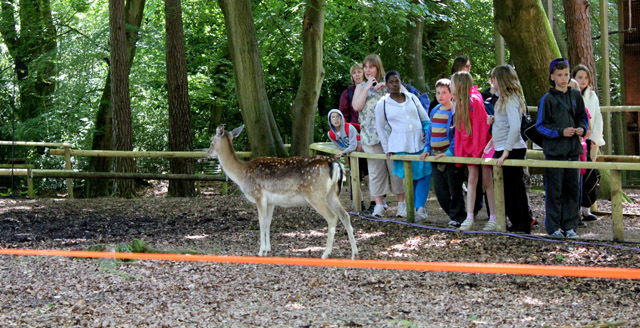 During the practice runs we were joined by deer that had been brought in to roam the site, they checked out the slacklines but seemed more interested in eating my t-shirt or indeed anything that had been left around! The Live broadcast took place at 9.00am and we had to be there by 5.30am to prepare, think that has to be the earliest I have ever got on a slackline! The weather was great for the live broadcast and after all the preparation the Live show seemed to happen in a flash. It was great to be given the opportunity to tell more people about this sport and Lloyd put on a great show for the camera, as he always does. We had a great time with the BEEB and hopefully got some more of you on the line!